Been bumpin’ this Car Crash Set release for a while privately, and now it’s available on Juno. Support my bud James Arctic, he got the skills. I’m a big supporter of both these artists so I was instantly interested in sharing their upcoming radio event together. 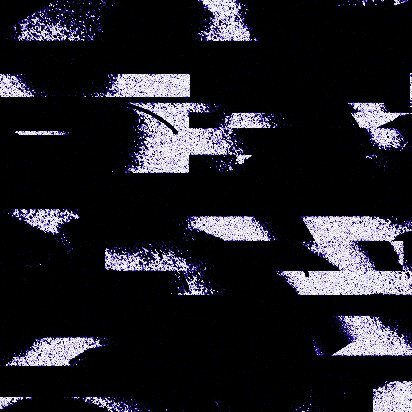 For the past year, Mirror State has been building a memorable program with music ranging from garage to 2-step, ambient to dubstep. James Arctic joins him in the studio, and I’ve talked with both of them about how they met and what the celebration will sound like. If you’re on the west coast like me, tune in to Sub.fm tonight at 10PM-1AM, UK peoples from 6AM-9AM. DD How did you meet James Arctic? I have to say I’m sad I haven’t physically met the two of you, we connect well! MS I met James through our music after moving to the same city – out at a small bar, and we just stayed in contact from then. DD Your Sub.Fm show is celebrating it’s 1 year this weekend, congratulations! I’ve really enjoyed the shows I’ve listened in on. How do you feel the show has evolved since it’s start, and what will the 1 year episode sound like? MS Thanks a lot. The show for me has actually stayed quite similar over the last year in terms of how I do it. Maybe I talk more.. maybe I talk less.. but the sounds will continue to speak for themselves! The 1 year show will be full of new music from all around, as well as a few picks from the last year. DD You will be joining Mirror State for his 1 year party live. What do you hope to add to the program? Any specific songs your hyped to share on Sub.FM? JA Grime, grime, grime! Thinking about doing a little history of the genre – from old to new of some of my favourite and most influential tracks. I’ll also be playing all the forthcoming material I have, including some past releases and some other artists who I’m digging atm. DD What does pizza mean to you? JA It brings happiness like no other. It’s warmth and soft texture creates a mouth watering sensation, oozing in flavours after every bite.